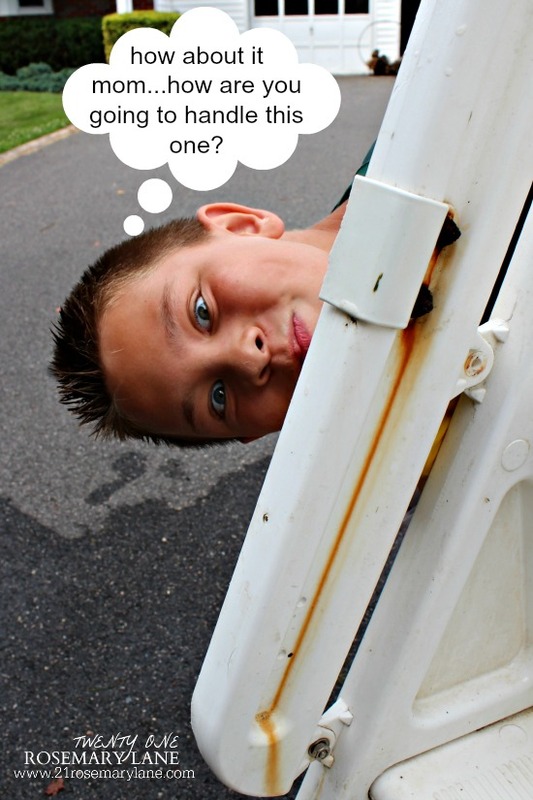 Yesterday I had the kids out in the driveway cleaning our swimming pool ladder. You see we have a 24 foot round above ground pool which is about 8 years old and well in need of some much overdue maintenance. We have had some ongoing issues with the pool liner ripping and subsequent battles with algae as it crept in turning our water an incredible shade of lime green Yuuuuck! 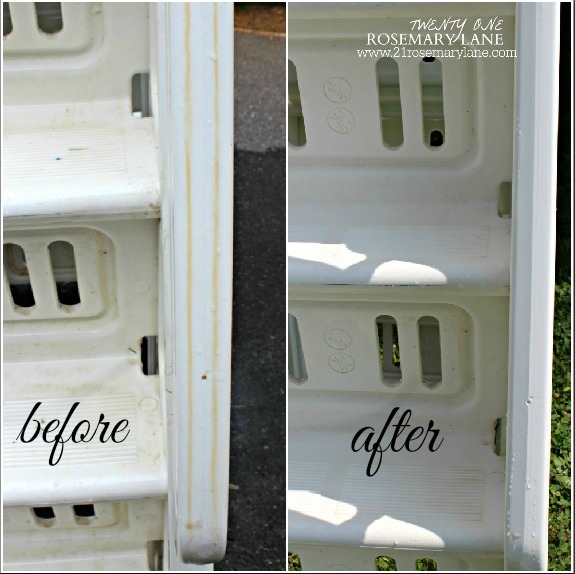 Finally this year Mr. Rosemary Lane decided to replace the entire liner instead of patching the holes as he had in the past with little success. That being the case I told my kiddies that while pop was replacing the liner they will be in charge of scrubbing down the pool ladder. As they were working their little hearts out to clean the ladder, I noticed that the ugly orange rust stains were just not getting any lighter. 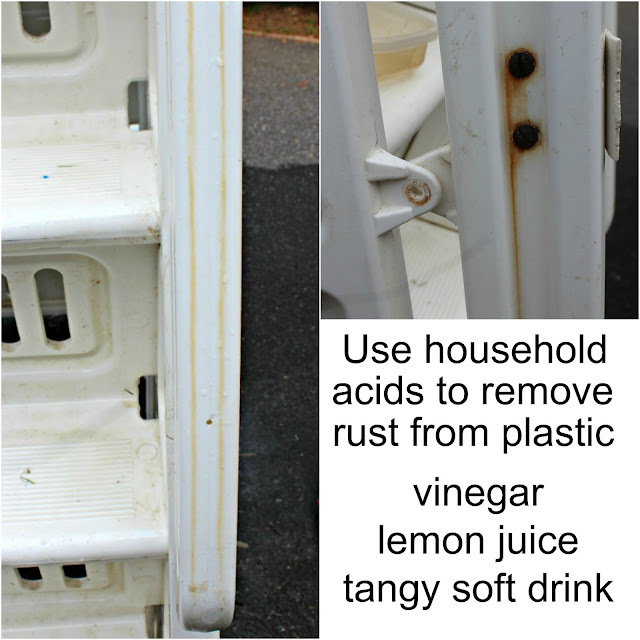 So I Googled how to remove the rust stains and much to my surprise any number of household acids would work in removing the stains. Below you can see how using a simple solution of 50/50 water to lemon juice, an old kitchen scrubbing pad and a little elbow grease really cleaned up the rust stains! 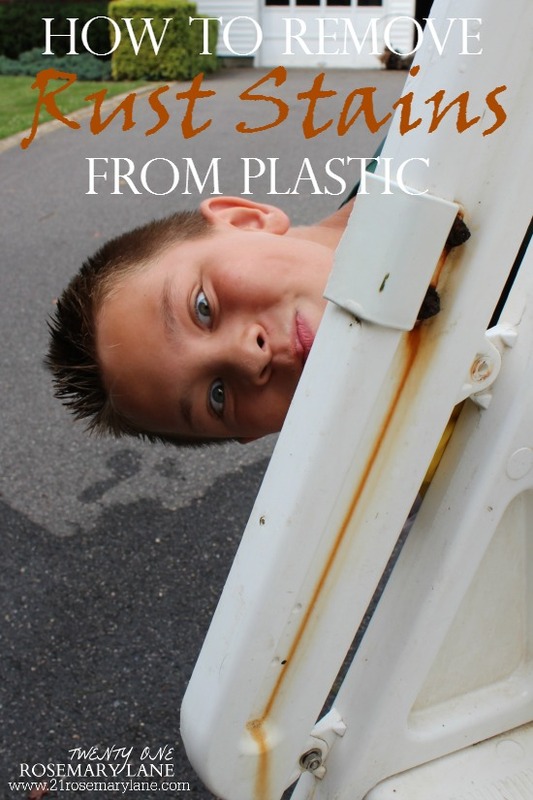 But what about the nasty stain on the inside of the railing? This stain was a wee bit more challenging due to the degree of rust and the fact that it sat in the railing's crease. 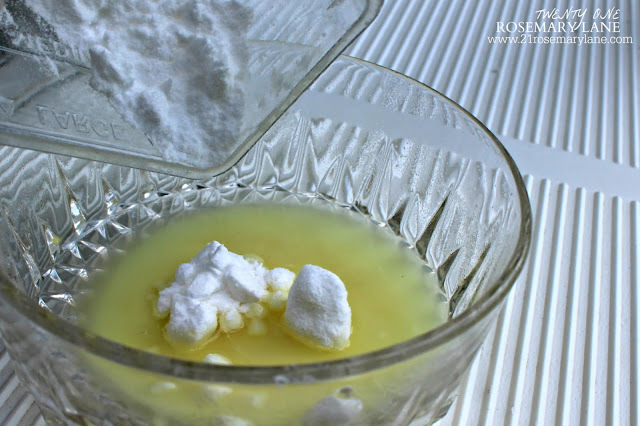 So what I did was to make a paste of pure lemon juice and some baking soda. Again using an old kitchen scrubbing pad, I applied the paste and scrubbed the stained area. 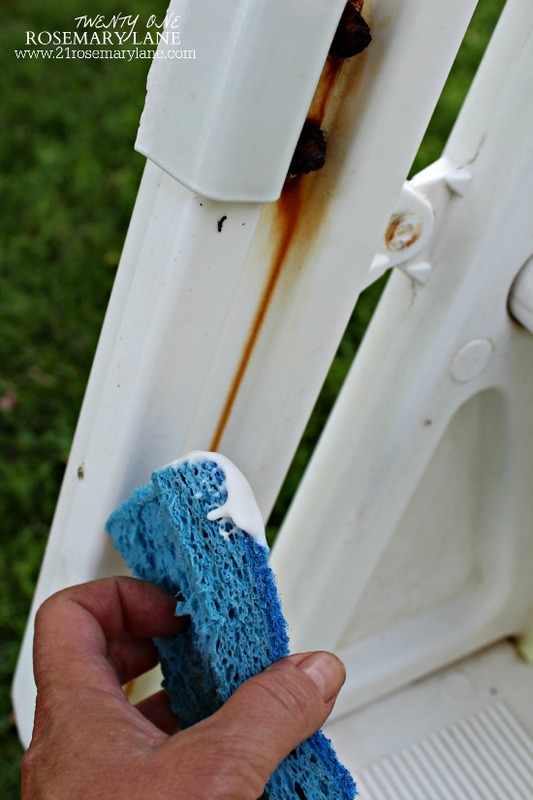 For even tougher stains you can allow the paste to sit for several minutes on the stain before scrubbing. As you can see it made a huge difference! (Buster simply had to walk on by to check it out!) 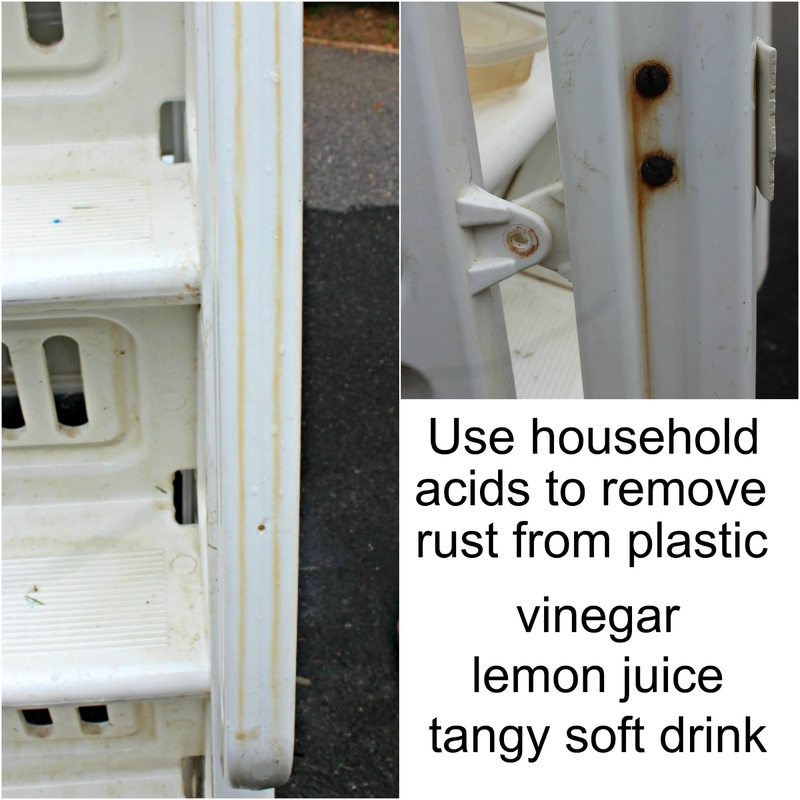 As it turns out the low acidity of lemon juice is enough to actually dissolve and remove a rust stain from just about any plastic material. 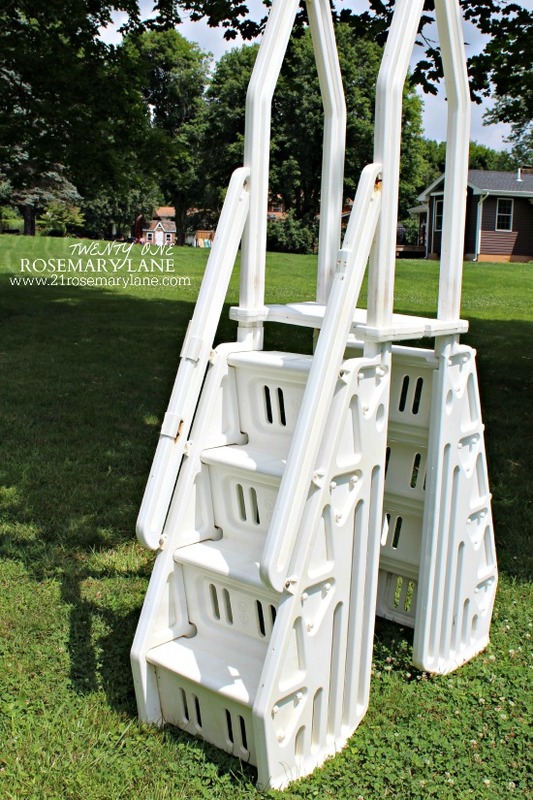 Our ladder is now pool ready! 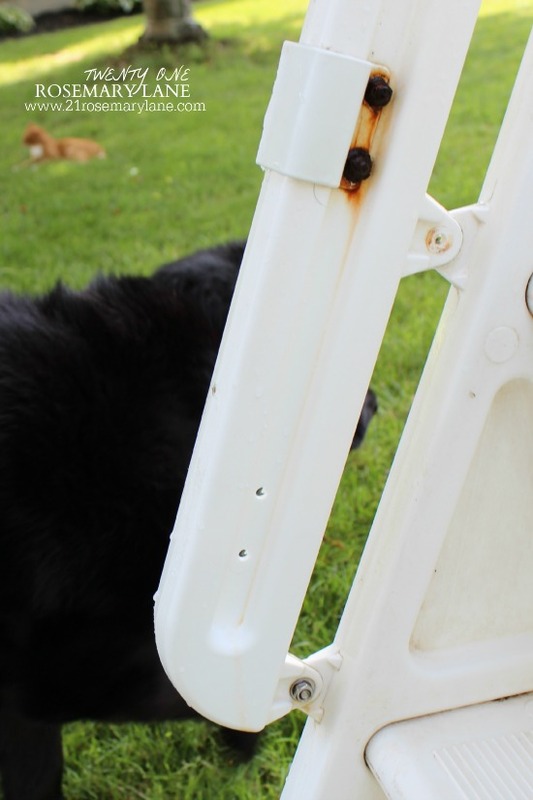 All we need to do is reattach the safety gate and put her into the swimming pool. 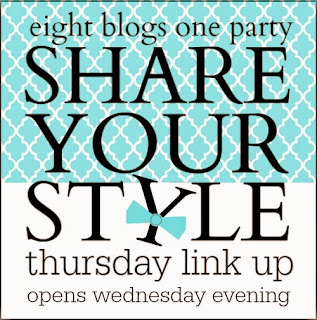 Wishing you all a great week and don't forget to stop by tomorrow evening for another fabulous Share Your Style Link Party! Thanks for the tips on rust removal. Now you can go swimming, bet the kids are happy about that. Wow what a difference! I love that you were able to use non toxic ingredients that you already had on hand! !